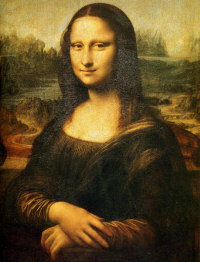 Unique Wine Auctions is a brand new concept in the sale of fine wine where the bidder placing the lowest unique bid wins. Registration is free, and bids cost between £1 and £5, depending on the value of the lot. For the lucky winners, UK mainland delivery is free but delivery elsewhere can be arranged at cost. The site allows you to bid for bottles from Châteaux Latour, Margaux, Mouton, Haut-Brion, Romanée-Conti and full cases of Cru Classé claret, with the person who places the lowest unique bid winning the wine for that price. 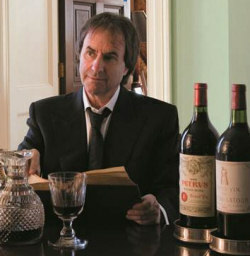 Wine-pages members receive a bonus of £5 worth of bids free for each £25 spent until 6th March 2011. Use code W1N3PG5 at checkout at uniquewineauctions.com. 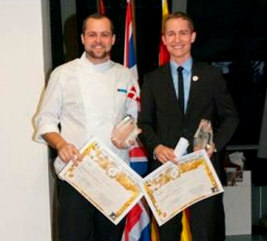 Denmark’s Michelin-starred ‘Formel B’ restaurant has won the Wines of Roussillon Dessert Trophy European final, which took place in Perpignan on 24 January 2011. Pâtissier Daniel Kruse and sommelier Jacob Christiansen came on top for their dessert entitled ‘Citrus fruits in all their glory, a homage to the flavours of Roussillon’, served with 2009 Muscat de Rivesaltes from Domaine Pouderoux. In the process they saw off the competition from five other European delegates from Germany, Belgium, The Netherlands, Spain and the UK. Interestingly, the UK was represented by the team of sommelier Andrea Briccarello and pastry chef Daniel Fancett of Galvin La Chapelle, who clinched the UK title in October 2010 with their unique creation of ‘Lemon bavarois with citrus fruit salad and basil sorbet’, which they paired with the same wine: the 2009 from Domaine Pouderoux.